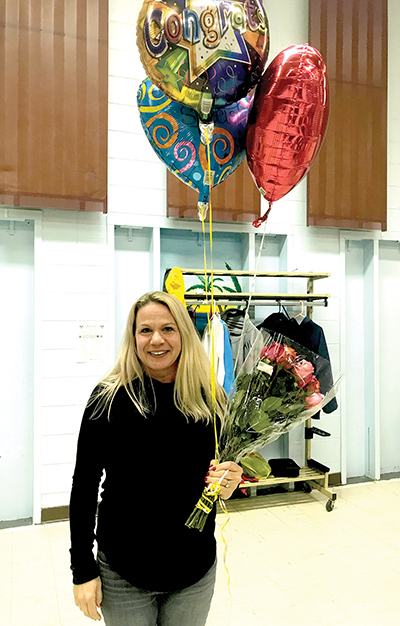 Oceanport — Art teacher Kelly Jakubowski has been named Teacher of the Year at Maple Place School. School officials conducted an interview with her on the accomplishment. Q: How does it feel to receive such a prestigious honor such as Teacher of the Year? A: It feels amazing. It is humbling to think I could earn such a huge award for doing something that I love. It is also great to have acknowledgement for the arts. Q: What do you like most about being a teacher? A: There are two things that I love. Being able to create artwork. I love to create, which I am still able to do. Mrs. Jakubowski loves working with children, and helping students to become independent artists. Creativity and being unique are very important to her. Q: As an Art Teacher, why is it important to get students to express themselves creatively? A: I believe that being creative applies to all areas of life. Creative thinking is a key to success everywhere. Take the concept of being who you are and apply it all areas of life. It will set you apart. This is a message she shares with all students on the first day of her classes. It is a theme of her professional life. Q: What are some of the projects that you have your students do? A: Students focus on the elements of Art Composition and how a project unfolds, and the resources needed are key. Sculpture is an area that the students seem to embrace their creativity because students like to build and create things. Q: In what other ways are you involved in the school and with your students? A: • Art Club – Students get the chance to explore their interest in art further. Q: How do you incorporate technology? A: I started using Instagram (Mrs.Jakubowskisartroom) to capture and showcase student work. It also allows me to see the work of former students who are pursuing Art as a career. Q: What is your favorite artistic medium personally? A: At home I do a lot of painting in acrylics and watercolors. Q: If you were to give advice to someone who wants to pursue a career as a visual artist what would you tell them? A: Make sure that you are true to yourself and that you create what you are passionate about. This will lead to success. Q: How do you think art influences other academic areas? A: Art is intertwined into everything. I tell students that they will always find application in art to all other subject areas. In my classroom students are able to see connections to science, math, and literature all of the time.